It's a simple Switch statement using the threshold parameters. 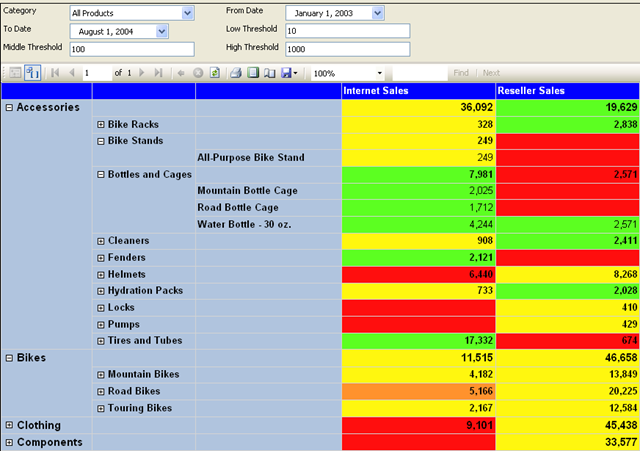 [rsMissingFieldInDataSet] The dataset 'ProductSales' contains a definition for the Field 'Internet_Sales_Amount'. This field is missing from the returned result set from the data source. 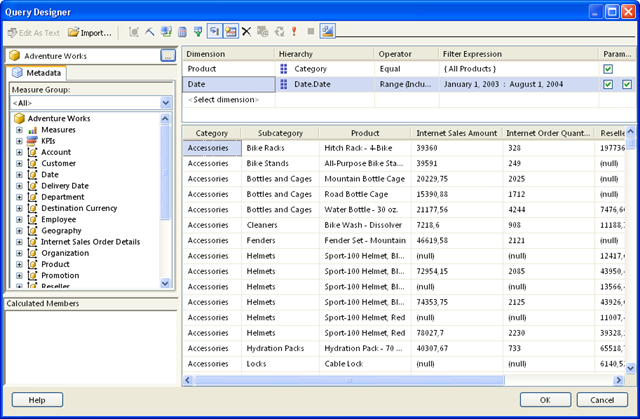 [rsErrorReadingDataSetField] The dataset 'ProductSales' contains a definition for the Field 'Internet_Sales_Amount'. The data extension returned an error during reading the field. There is no data for the field at position 4. 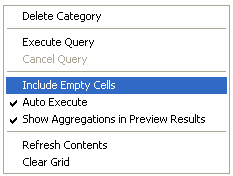 Keep in mind that this will result in more rows in your result set because you're now selecting all the empty measure cells as well. Depending on your report requirements this may not be the desired effect. On the other hand, it could be exactly what you want. If our sales department had asked that the report should always show all products, even when there are no sales for the period, then we'd need to query the cube in this way. For the sake of the example (and to save some trees in case the sales department is going to print the report :-) ) we will not choose this option. The previous fix attempt has shown that it's not possible to use an expression for the field validity test. At least, not in the way we've tried until now. Let's try using custom code. 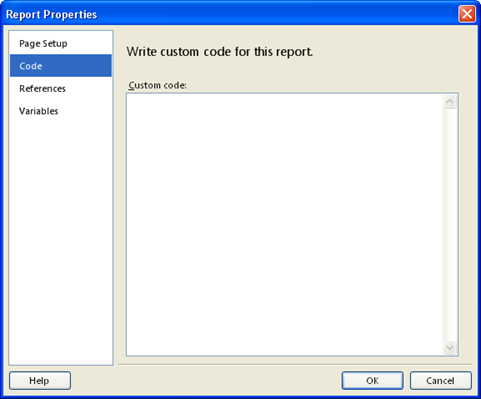 Custom code can be added to a report through the Code page in the Report Properties dialog box (accessible through the menu Report > Report Properties& or by right-clicking the report's yellow background). Let's start with a small extra requirement. 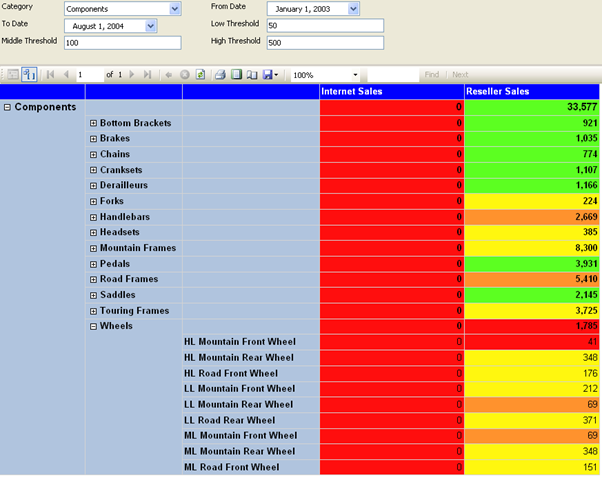 When a measure is not present in a row, such as the Internet Order Quantity for the products in the Components category, the report should display a zero instead of blank space. To get this done we again need to test on whether or not the field exists in the result set. As a good coding practice I've created constants for the color strings. This method allows you to define constants that are available in the whole report - could be interesting if the same colors are used in different parts of a report for instance. As usual, if you appreciate what you've just read, don't hesitate to click that YES button down below!